Offering affordable rental services to the Hendersonville metro area. We have an abundant inventory including roll offs ranging from 12 cubic yards up to a 30 cubic yard container. Common jobs include estate clean outs, spring cleaning, garage cleans, waste management, and commercial services. By renting with Discount Dumpster you are receiving a straight forward price with no hidden fees. Roll Offs are named after how the truck places the dumpster. There are two large wheels at the back of every dumpster. The driver rolls the container off the back of the truck onto these wheels. This allows you to place the dumpster in tight to reach areas. 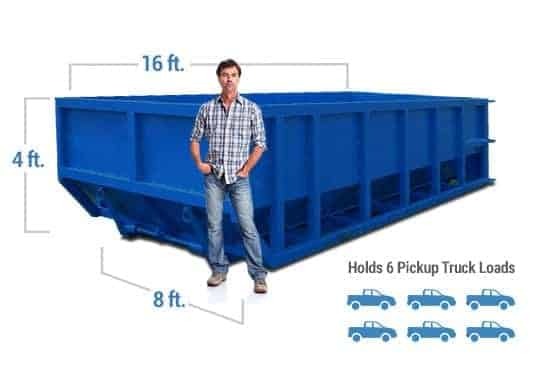 All dumpsters are equipped with a large gate at the back making ample room for junk disposal. Walk the larger items from the get go and through the lighter, looser material over the top. Having a large event? Remodeling your home? These and many more projects will require a roll off dumpster. Discount Dumpster of Hendersonville has temporary service options for all of our customers. The size of your project will push you toward different dumpster options. For weekend jobs you may want to go with the 12 cubic yard bin. For larger remodel and commercial jobs a 30 cubic yard dumpster will do the trick. For pricing and ordering information please contact our office at (615) 241-9820. Henderson Dumpster Rental. Made Simple. 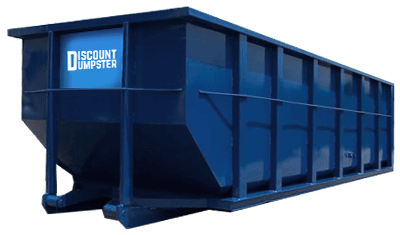 Discount Dumpster’s residential and commercial dumpster rental allows you to quickly find the best size roll off for your job. Schedule a delivery, pickup, and pay with only a few clicks or a fast call. You can count on our helpful drivers to place each bin where you need it to go. We make sure everyone is safe, both on the job site and on the road. Be sure to call us for a quote when you need to rent a dumpster in Hendersonville.